The new Sumner M. Redstone Building and Law Tower recently designed by Bruner / Cott & Associates and originally by Joseph Lluís Sert formalized a narrow path into a tight bustling corridor. Major points along this corridor include the George Sherman Union, the Law School, Marsh Chapel, and the BU Beach. 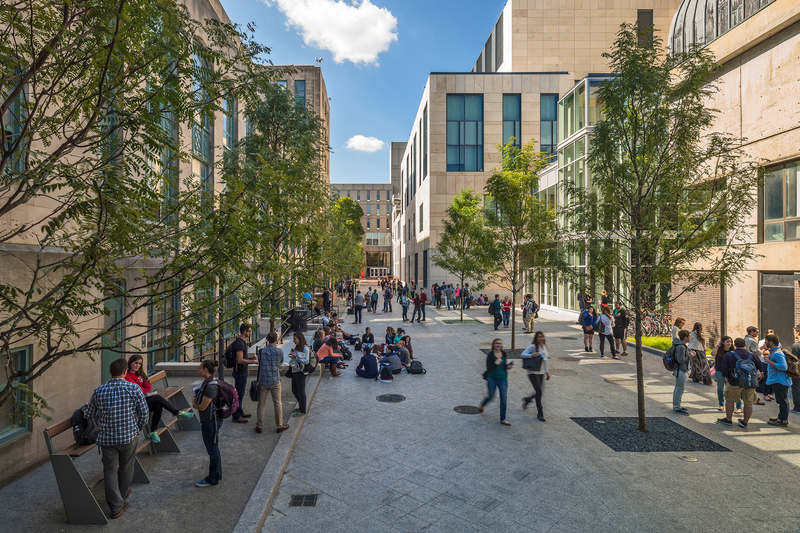 Threaded between buildings both existing and proposed, RBA observed a critical pedestrian route at the Boston University School of Law that received substantial foot traffic, especially during class change. 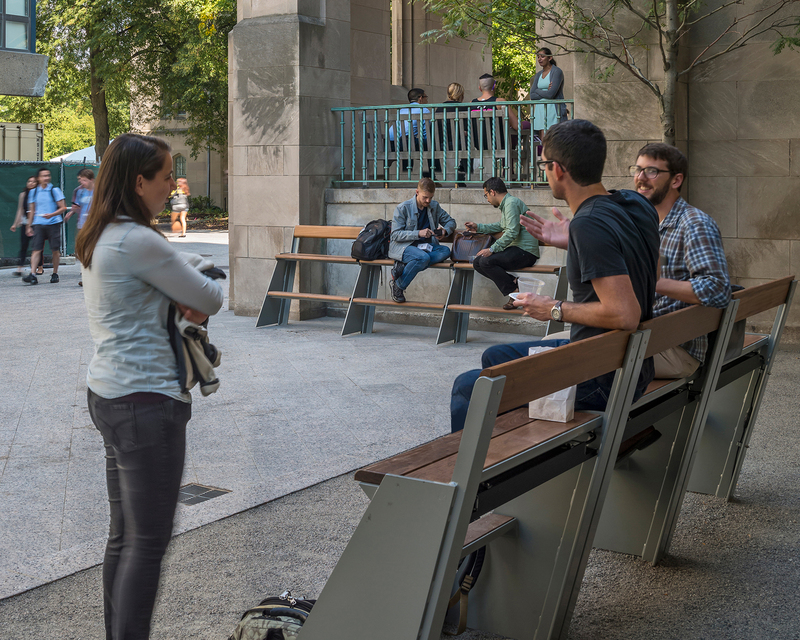 RBA saw an opportunity to enhance the social experience along this route through custom-designed benches with elevated seating. A high seat allows eye-to-eye contact between those sitting and those standing. This creates a comfortable, level visual platform for public interaction. The ipe and steel benches are located along the walkway and often create social clusters. 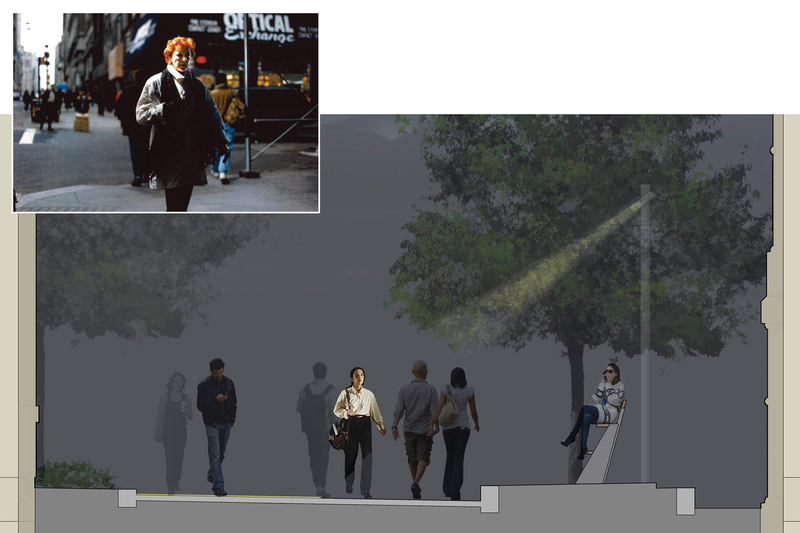 Through site lighting, RBA furthered the design of the social corridor, referencing the work of street photographer Philip-Lorca diCorcia, whose images bring temporary clarity to a pedestrian’s face in an otherwise anonymous cityscape. RBA created light pools along the walk with a narrow beam light directed downward through a tree. At night, when people pass, there is an instant of recognition that enlivens the campus environment, transforming the walk into a sequence of imageable moments.